Laura created this modern, lightweight foundation that floats over skin without visibly settling into fine lines. The hydrating formula includes a multipeptide complex infused with Dermaxyl and advanced optical diffusers that help to visibly smooth out lines and wrinkles. Perfect for normal to dry skins, Crème Smooth Foundation offers buildable coverage with a radiant, smooth finish. Apply to face with fingertips or by stippling with a cosmetics sponge. 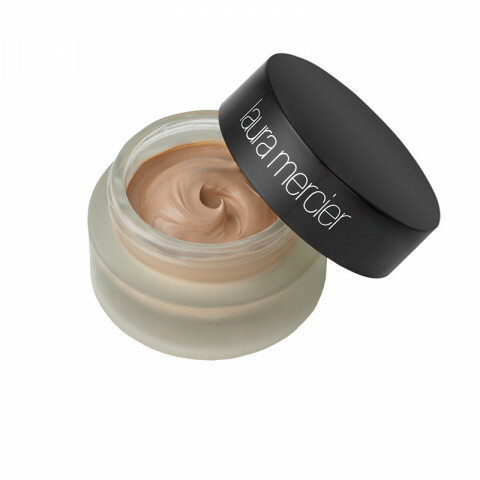 For best results, use a Laura Mercier Foundation Primer before applying Crème Smooth Foundation. It covers blemishes, and pores very nicely. I have had many compliments when wearing this.